My little Annie turned three this year and was itching for a fun party. 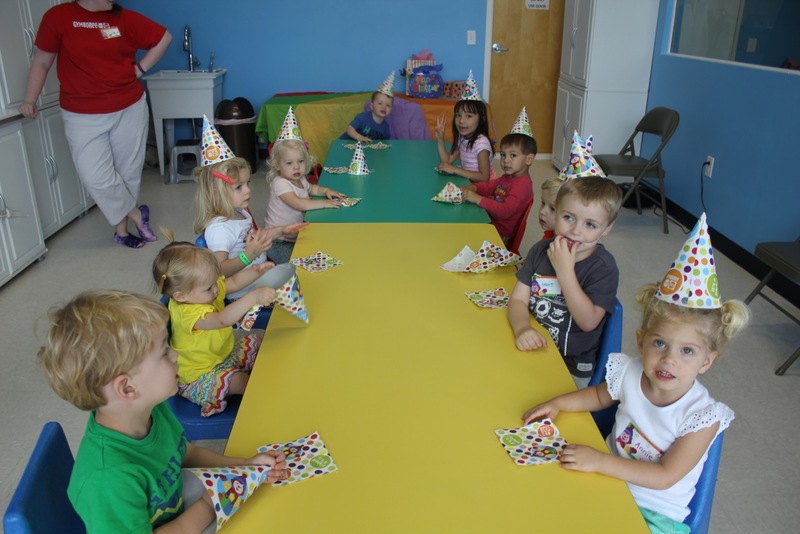 She finally understood it all and was thrilled at the thought of her very own birthday party. Only one problem, I had just had a baby! Needless to say, I was on the hunt for something that was both easy for me to pull off AND a blast for Annie. 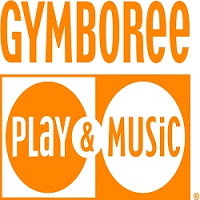 I looked no further than the amazing Gymboree! Planning was as simple as it gets, I had one or two phone calls with their DARLING staff. They arranged to do everything…and I mean EV.ERY.THING. They even sent invites to our friends. I picked up a cake and drinks and viola…the party was all set! We arrived 10 minutes before the party got started. Our instructors welcomed us with open arms and let us get to the equipment right away. 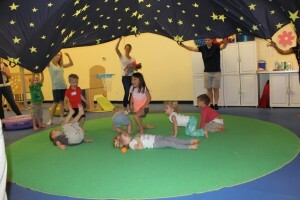 Our darling teacher let the kids have some free play and then we got right to the activities. The kids were in heaven and the parents were too, catching up and letting the kids play. A few friends forgot socks (for the adults), no problem Gymboree was on it. Not only did the kids have fun, but they also learned some new skills as well. My favorite activity was the firework. 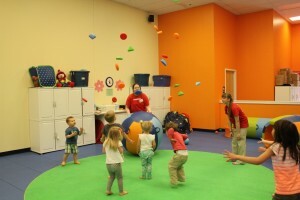 Our teacher put all these toys on a ball, bounced it really high and boom! The toys flew in the air. The kids were mesmerized and kept asking for more. The parents also loved the flashback to childhood with the big tent to run under – adults included! The real highlight for me was that I got to play with my birthday girl. 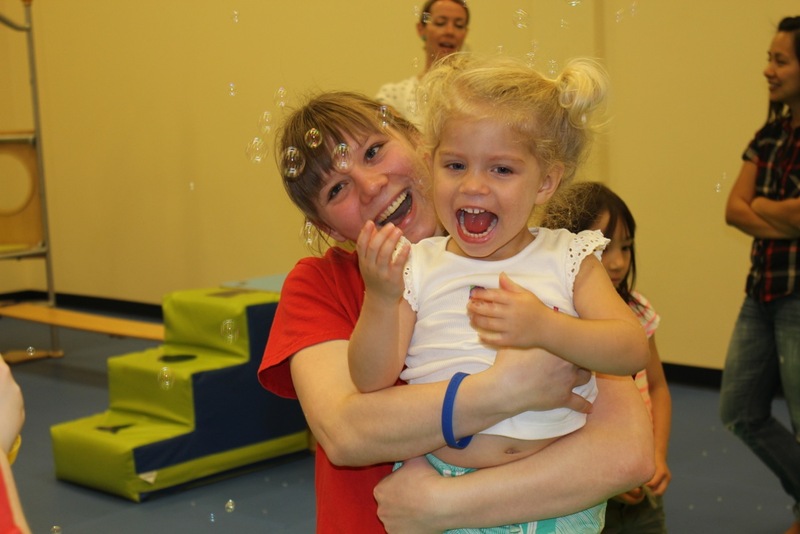 I felt completely at ease and was able to watch her face light up with excitement. This wouldn’t have happened had I planned the event. It was a moment not just for Annie, but also for me as a parent as well. We finished off with cake and presents in their side room – complete with kids chairs, plates, utensils and napkins. Gymboree even provided hats for the kids and a little gift for the birthday girl! On the way out Gymboree handed each party guest a goodie bag. Like I said, every detail was thought out and complete – without me even lifting a finger! I couldn’t have asked for a better, easier birthday party! What a treat! 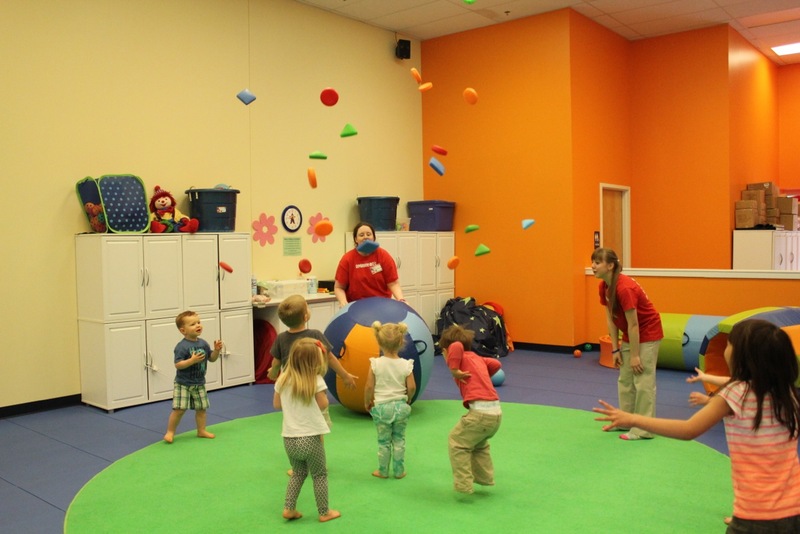 You can learn more about Gymboree’s AMAZING parties by clicking here.